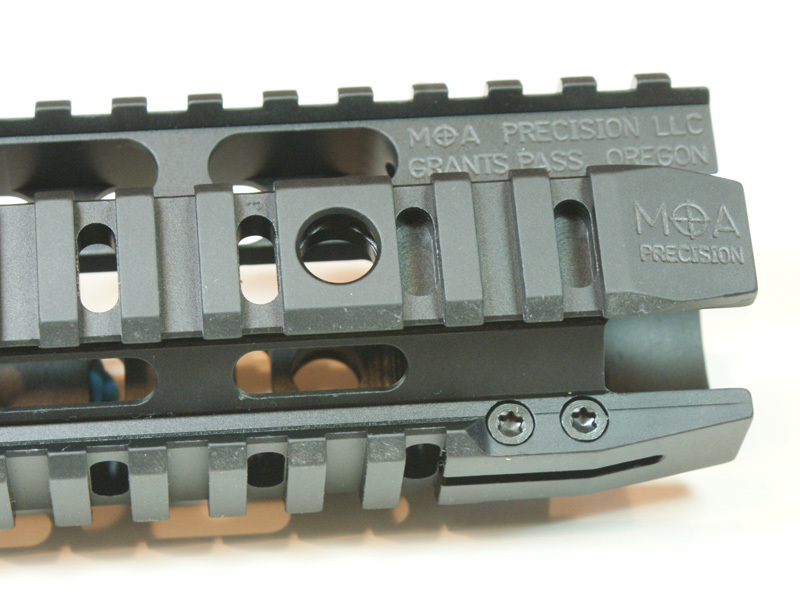 installed over many low-profile gas blocks if you desire to use a mid length rail on a carbine, completely protecting the gas system. Aggressive use of venting on all sides allows barrel cooling, and 2 Q-D swivel sockets are provided on each side to increase sling attachment options. Installation is easy, using the included pin wrench for the barrel nut, locks in place with two t-15 Torx screws (wrench also included). 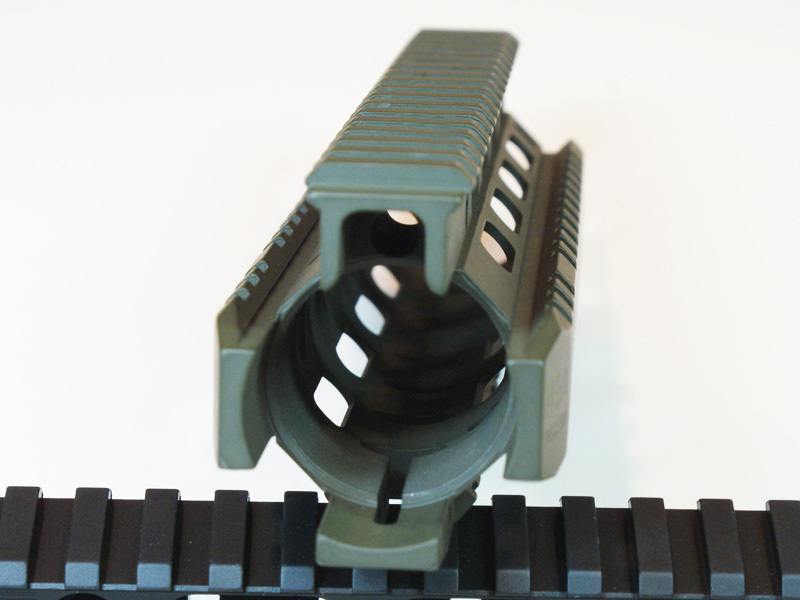 The VECTR rail’s low profile design is obvious when viewed side-by-side with a typical competitor’s quad rail. Proudly MADE IN AMERICA, using only domestically produced materials. Numerous cooling vents visible from this angle. Sling attachment points on both sides provide horizontal or vertical swivel mounting, but do not allow full rotation thereby preventing sling tangles. Narrow, streamlined profile shown from above. 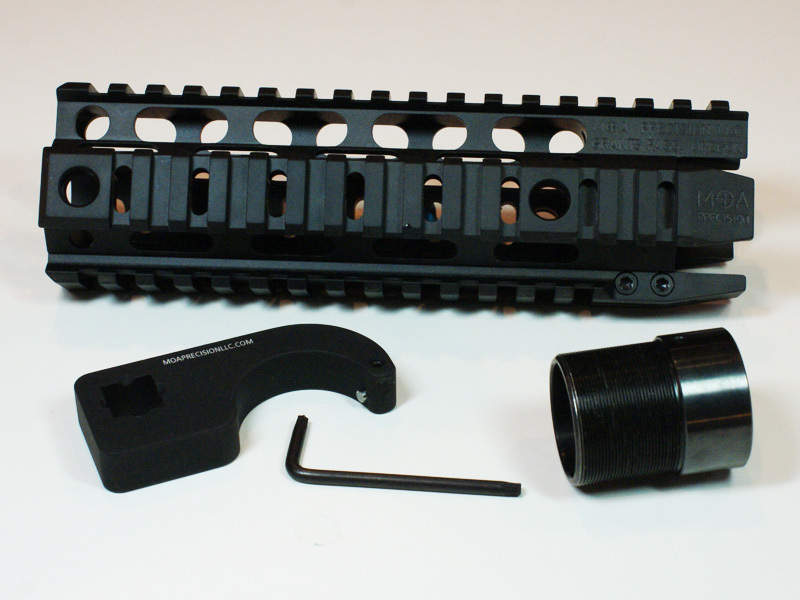 Top rail is not vented to prevent heat mirage in front of optics. 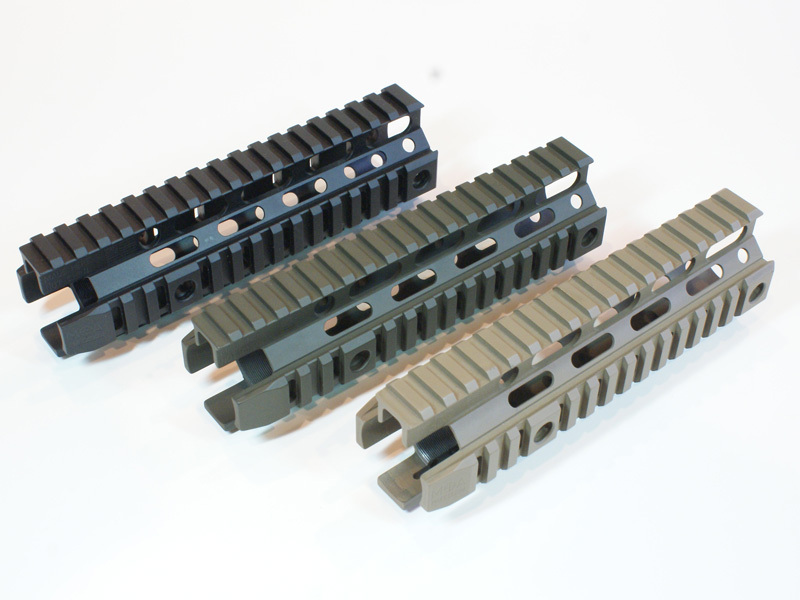 Available in Mil-Spec hard anodizing Black, or OD Green or Dark Earth CeraKote. Be sure to choose color and size in the option boxes.